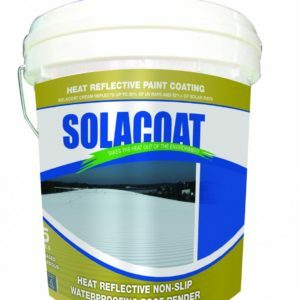 Solacoat CP Primer is a water-based sealer, primer, undercoat designed to be used on exterior and interior concrete/ cementious surfaces for use under heat reflective coatings. 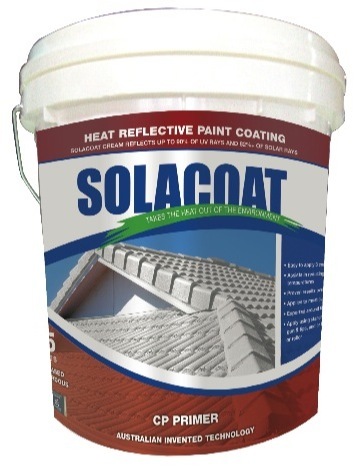 The ceramic alloy component aids in the filling on uneven surfaces and optimizes for maximum heat reflectivity for temperature abatement. 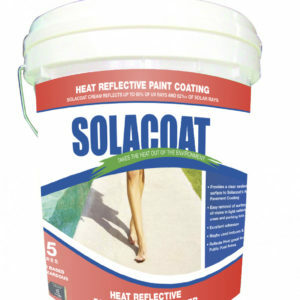 Solacoat CP Primer can be recoated after 2 hours under good drying conditions. Do not apply when temperature is below 10°C or when humidity is excessive. 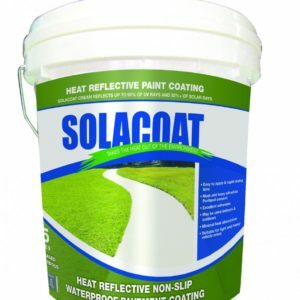 Spreading rate is approximately 4 – 12 square metres per litre depending on application (brush, roller or spray), and the roughness of the substrate. 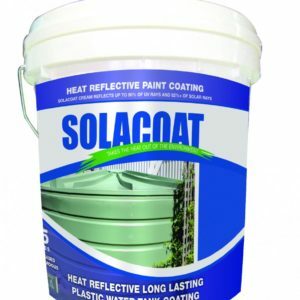 Rough surfaces will have a spreading rate of around 4 – square metres per litre and smooth surfaces will be around 10 – 12 square metres per litre.